Since Google is the number one search engine , so most of us depend on the Google even we have to search silly things on it, Google have gained the faith from all the Millions of Internet User,day by day Google is updating itself by adding useful applications in it, One of the most important application developed by Google is Google Drive. 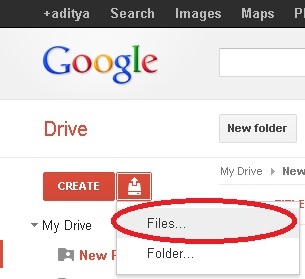 It Provide free Storage space of about 5 GB for gmail users to upload and keep there useful file safe on the internet. Congrats ! your file is hosted successfully. is there any way.. that I can host on google drive and Link my domain name with that. ?